Hello again! I am back today with another Joy Clair creation! Hope you re loving these new stamps and our sharing is inspiring you! Todays's set is so sweet. I just love it! It's called Hugs and Smiles and it's a beautiful set, you'll see. 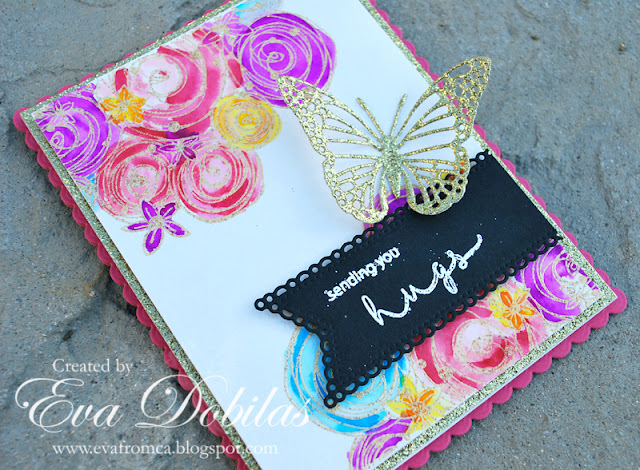 To create this card I die cut two A2 Frames Rectangular Scalloped Dies out of a deep pink card stock. Than I die cut card stock to fit inside of it out watercolor card stock, also just a slightly larger size out of gold glitter card stock to layer with. 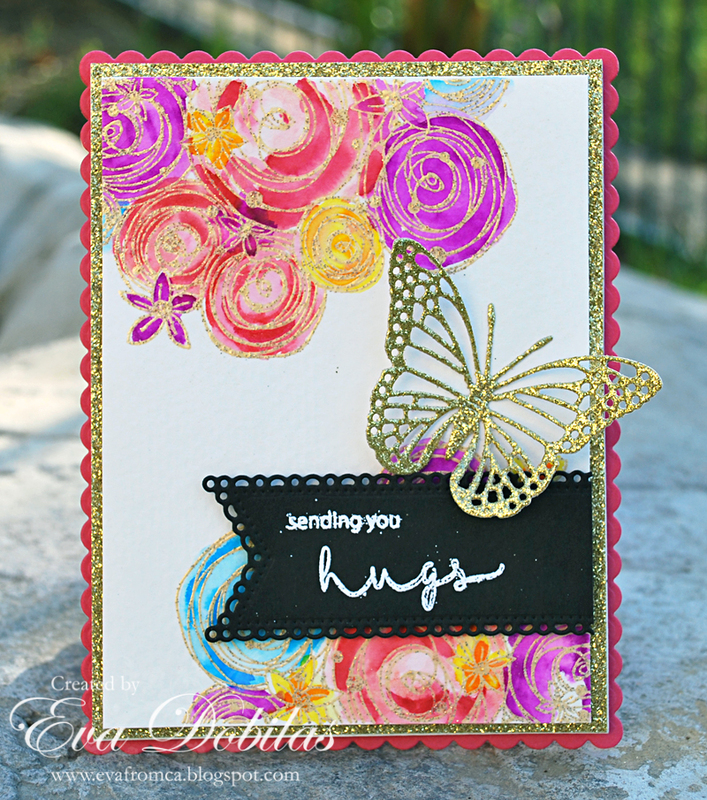 Next I gold embossed the beautiful flowers on the top and bottom portion of my card stock and I water colored them in. Than I die cut a Horizon Fishtail Banner and white embossed my sentiment on it, cut it down to the size I wanted and using pop dots attached it to my card front. Finally I die cut one of the Small Exotic Butterflies #2 out of gold glittered card stock and attached it to my card.